As an expert on Graph Technology and a domain expert in emergency services NGA911 choose Netage B.V. to help them with this transition. Also the 911 community is not very well known with Graph Technology, so Netage B.V. will set up some guidelines to make a good start. Helping the 911 community to embrace JSON-LD. Great news for Netage’s RESC.INFO Insight! With the publication of the report ‘Fatal Residential Fires in Europe’ the first step is taken to understand fatal residential fires in Europe! The improvement of fire safety in the living environment can only be effective when we have knowledge about the chances, circumstances and effects of residential fires. Since fire safety measures transcend national borders, greater insights into residential fires on a European level is necessary. For this reason, the European Fire Safety Alliance (EuroFSA) and the Dutch Fire Service Academy (IFV) have conducted a research study into fatal residential fires in Europe. The data of 9 European countries has been collected and analysed and the first results of this research are detailed in a report. The report is a first step towards a better understanding of fatal residential fires in Europe and now you can use this data to create risk insight for your own fire department. In collaboration with NFPA, Netage B.V. organised a two day CRR Activity Data Model Development Meeting in Salt Lake City. 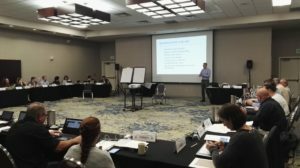 We brought community risk reduction (CRR) subject matter experts together to share and document the existing landscape of various species of CRR activity data for the purposes of developing a comprehensive, flexible and extensible data model. The meeting was organized as workshop where all participants were encouraged to collaborate and share their ideas and inputs on the data model. The first workshop day started with an extensive explanation from the CEO and Data Expert from Netage B.V., Bart van Leeuwen, about how the legacy of data modeling influences our decisions, the importance of taxonomies and how graph models can overcome these issues. The hands-on part of the workshop started where the 47 people of the group split up and started to create there own graph models. There was some hesitation in the beginning, but by doing it more and more people became enthusiast and started to understand the principles. The workshop day ended with an improvement iteration of the first attempt, Bart helped the groups with hints and tips to make the model more mature. The second workshop day started with working on more data models with greater detail where the groups were challenged to share the narrative the graphs entailed to the rest of the group. The feedback from the group indicated that everybody was convinced that the graph model would be the right solution for the broad CRR Data Model domain. The workshop ended the day with a ‘What is needed to form a community?’ brainstorm. The workshop clearly emphasized that collaboratively working on a knowledge model not only improved the quality of the model, but also improved sharing knowledge among the participants. Using the graph model to express knowledge and relations between various subjects around CRR has proven to be viable solution to the participants. Now it is on Netage B.V. to take the inputs of the workshop and work on the Core CRR Data model. 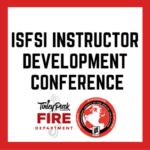 The International Society of Fire Service Instructors (ISFSI) organised in September an Instructor Development Conference in Chicago and Netage B.V. was present. The ISFSI leads fire and EMS instructors in their efforts to reduce firefighter fatalities and injuries, increase firefighter safety, and improve the profession through education and training. This conference rotates around North America annually with a dedicated focus on instructor professional development. It provides instructors a quality experience in a small intimate conference setting. 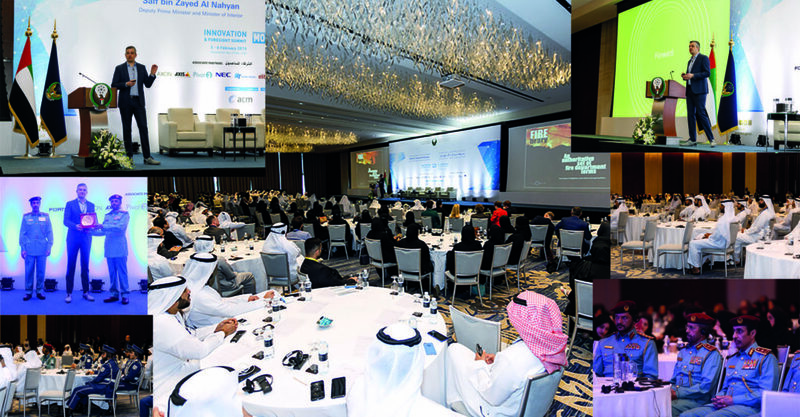 Attendees are challenged academically and are provided a chance to network amongst their peers. Bart van Leeuwen lectured about the evolution of the Amsterdam Fire Department, a story about transformation from traditional aggressive to cutting edge aggressive with the ultimate goal of firefighter safety during the Core Education Program of FRI 2018 (Fire-Rescue International) in Dallas, TX. Wednesday September 19th, Bart van Leeuwen will present at The Emergency Services Show in Birmingham, UK. The Emergency Services Show is the UK’s leading annual showcase of the blue light sector, featuring over 450 exhibitors, live demonstrations, unique learning opportunities and unrivalled networking. Taking place in Hall 5 at the NEC in Birmingham, the two-day event brings together all disciplines from the emergency services sector to discover innovative technology and operational solutions, share their experiences and unite in their collaborative approach to public safety. Bart will talk about Smart Data for Smarter Firefighters. What is the current state of data in the fire service, what should our next focus be and what will be our future challenges? Learn how Smart Data solutions can help improve both the safety of firefighters as well as the service to our communities. HackaLOD 2018 is the cultural Linked Open Data Hackaton of 2018, Organised by Netwerk Digitaal Erfgoed, The Rijksmuseum and The Royal Libary. During the 24-hour Hackaton teams set to work on creating new apps based on data from collections of cultural institutions. A professional jury decides who made the best app. Special attention is given to the use of linked data that makes it possible to combine various collections, to enrich them on the basis of analysis and to present them in an innovative way. Saturday 10th of February, Bart van Leeuwen presented on behalve of Netage on the HackaLOD Symposium in Amsterdam. Bart has told here about how he makes connections between different sources of data for major calamities. Tuesday Netage B.V. visited the Illinois Fire Service Institute (IFSI), talking about ppe contamination and smartdata. The Illinois Fire Service Institute, located in Champaign, Illinois, serves as the oldest continuous fire training institution in the United States. Since 1925, first responders from Illinois and the world have relied on IFSI to deliver top quality training, education, and research. 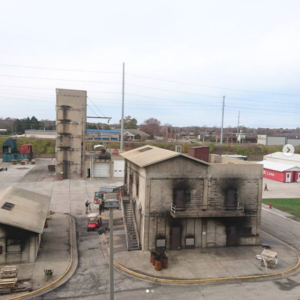 The main IFSI campus offers a 28 acre training ground with innovative class-A live fire and technical rescue props and training equipment. 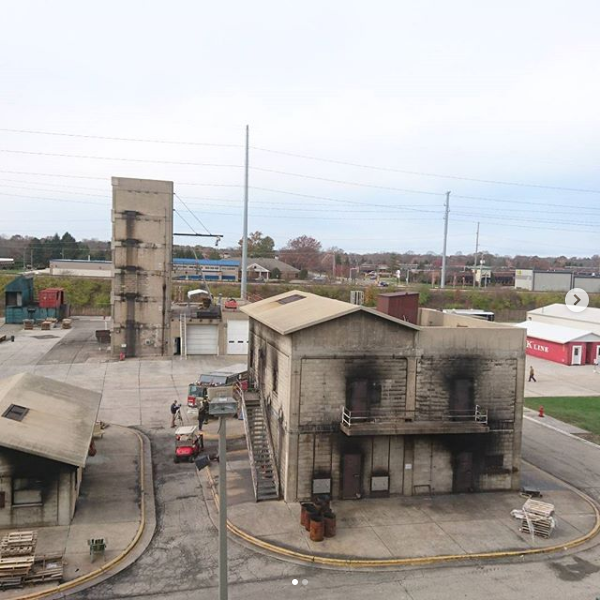 In addition, IFSI delivers courses at state Regional Training Centers, local fire departments and internationally.